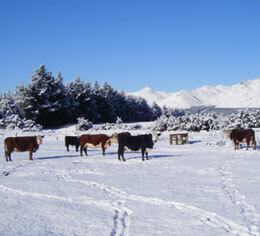 Molesworth Station lies in the High Country between Marlborough and North Canterbury – a high, remote area surrounded by snow-capped peaks most of the year. A working farm as well as being a reserve, it now belongs to the Crown, having fallen into disuse through over-grazing and rabbit damage last century. Today after decades of intensive conservation Molesworth Station is a wonderful area to visit: remote and wild, with beautiful river valleys, high tussock land, mountains and pasture. New Zealand’s pioneering farms were run by hard-working families, supported by a huge staff of cooks, musterers, seasonal shearers and of course the ever-present farm dogs. A land of extremes, with searing summer heat and drought alongside bitter snowy winters, horses were essential, now having been mostly replaced by farm bikes and 4WD vehicles. As New Zealand’s largest farm park, Molesworth Station holds a special place in the history of our nation, evidenced by the number of people who are drawn to visit it every year. Molesworth Tours are conducted by local operators who give wonderful insights into the history of the farm, the unique birdlife and the amazing range of flora that can be found on Molesworth Station – over half the plant species to be found in the Upper South Island can be found here. A visit to Molesworth Station is a must-do, with outstanding scenery, adventure, historic buildings, wildlife and the country’s highest road! All tours are by luxury 4WD coach. 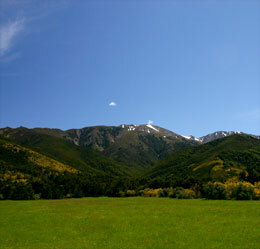 Hanmer Springs Adventure Centre is the booking centre for Molesworth Station Tours in Hanmer Springs. Please contact us for tour details and to make bookings.